Good news for FNC Entertainment lovers! Yeaaaay! 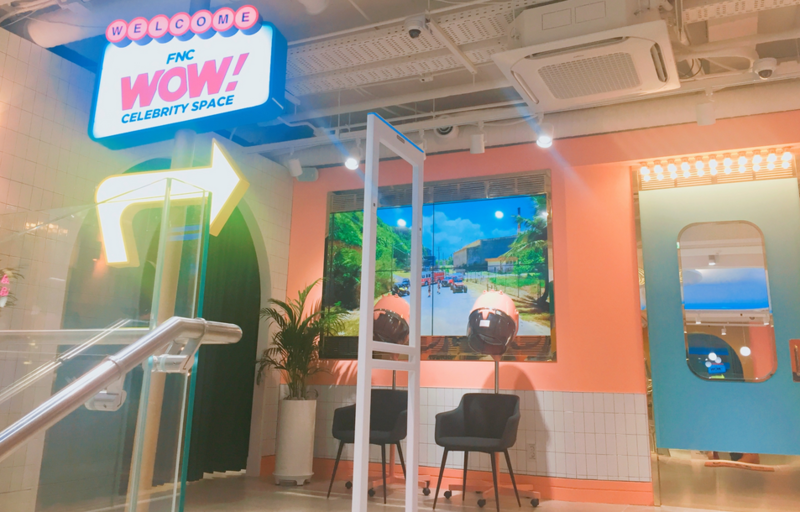 FNC Entertainment just opened a place called “FNC Wow! Celebrity Space” on October 12, 2017 ago. What kind of place is it? Let’s read the full story! “FNC Wow! 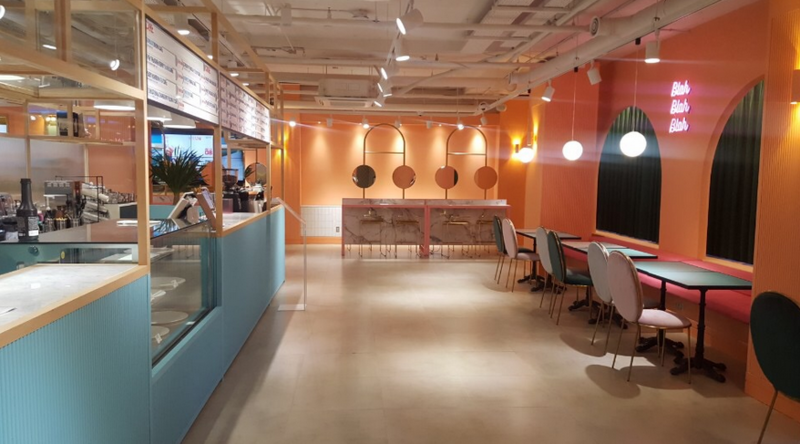 Celebrity Space” is a café filled with content from FNC Entertainment artists. 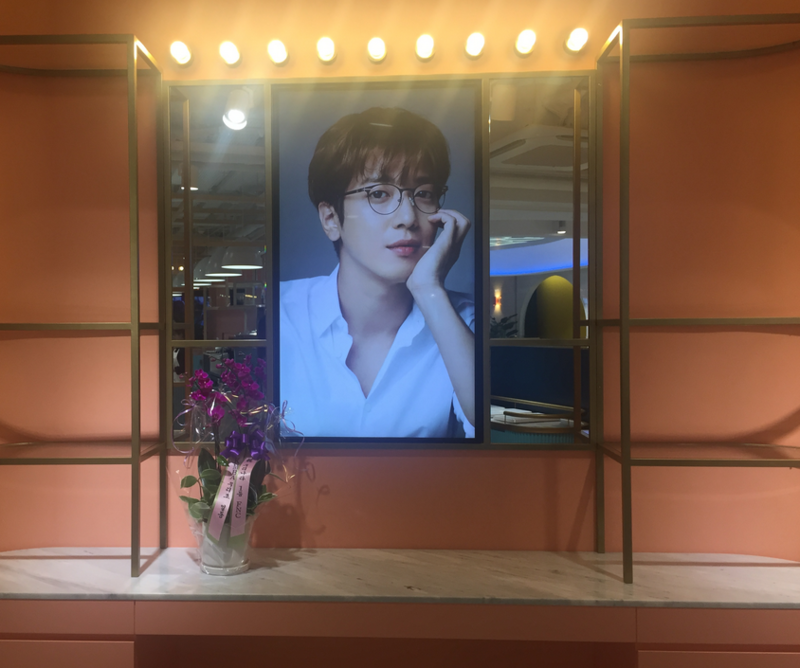 Located in the middle of Myeongdong area, this cafe must be visited for you who like CN Blue, FT Island, AOA, NFlying, SF9. When we first enter this cafe, we will be greeted by big screen that play Music Video from CN Blue and AOA. There are photos of actors and comedians as well as Yoo Jaesuk, Kim Gukju. Albums from FNC Entertainment artists are also displayed here. But not for sale yes! There are works and signatures from CN Blue, AOA and NFlying members as well! In addition, the theme of this cafe is backstage and dressing rooms from K-Pop Artist. Here we can see many mirrors like when in the make-up room! Shades of pink that successfully make visitor especially woman would love this kind of place. Also good for taking pictures. Not only the interior is cute and unique, here you can enjoy many kind of beverages. Starting with coffee, tea, smoothies and ice cream! Prices start at 4000 won. Different types of cakes also available here! Because it’s too funny so it’s a shame to eat! 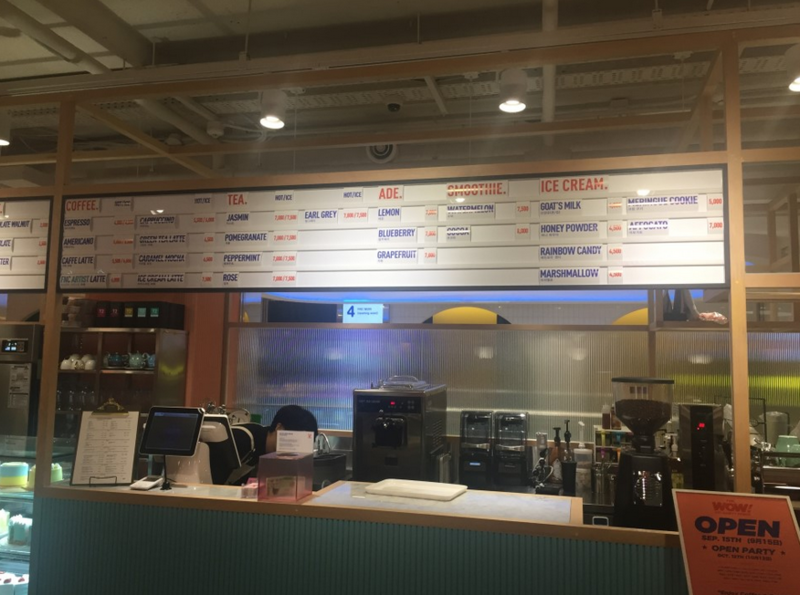 Moreover, the name of the cake is also associated with FNC Entertainment artists such as Five Treasure Berry Island Cake, CN Blue Berry Cake, Baby Rainbow AOA Cake, FNC Wow Cake, etc. 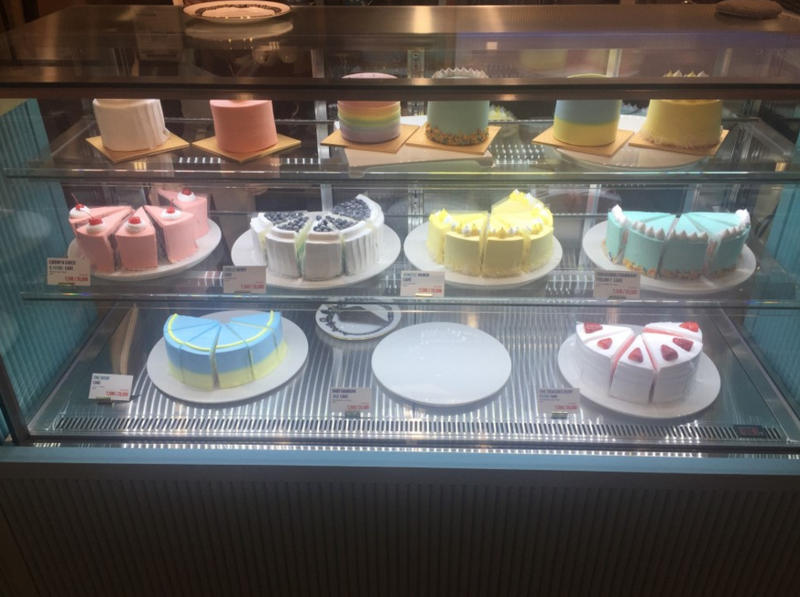 It costs 7.500won per slice and 20.000won for mini cake. This entry was posted in BnBHero Insights!, KPOP & KDRAMA. Bookmark the permalink.